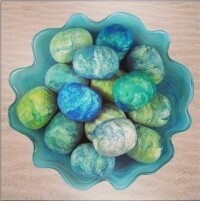 These felted soaps are made using silk, bamboo, and Merino wool. They are wonderful for gently exfoliating dead skin cells on the face, creating a youthful glow. Whether you're a tween or past middle age, everyone can benefit from this treatment. Using pure Olive oil soap, it creates a low suds lather that is safe for all skin types and sensitivity. Art for your sink that lasts for a very long time. Naturally antibacterial and anti-fungal too! Made in the USA. Choices will be either a green hue or a blue hue, whichever is available. 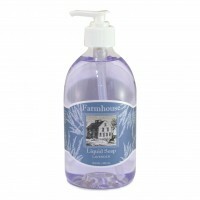 This natural liquid hand soap is a rich and creamy lathering soap with natural glycerin and vitamins. 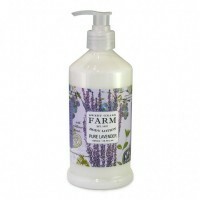 The soap works great as a hand cleanser, but, is formulated it to act as a shower gel, too! We have a few customers who claim it is also an excellent—ready for it—shampoo! Gentle enough for everyday use, this hardworking liquid soap rinses away clean leaving skin, fresh, hydrated and mildly scented. You love the incense, but have you tried the soap? 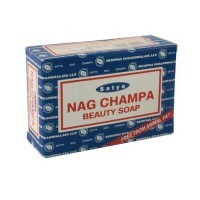 Nag Champa Beauty Soap is made without animal products and smells amazing. Grab yourself a bar, or gift one to a buddy! This rich lathering soap is made from pure vegetable ingredients, to cleanse and refresh your body and moisturize your skin. Give yourself a Zen experience in the bath, shower or at the sink! It’s not soap…It’s Lotion in a Bar! NO water needed. Our solid Lotion Bars are fragrance free, have convenient grooves on the top for your fingers and have the same moisturizing benefits found in our candles and melts. Helps soothe dry damaged skin including hard-to-soften spots like dry hands, rough elbows and cracked heels. Great for travel because it's NOT a liquid!